Some extended families manage to get together only once a year. For the Robertsons, family reunions happen every other month, and the entire crew—parents Don and Suzy plus their sons Nick and Chad, daughters-in-law Isabelle and Emily, and two young granddaughters—always decamp to the same place: the waterfront cabin they designed and built together. Every inch of the 1,200-square-foot home is Robertson made. Don, a master electrician, handled the electrical and plumbing systems, while Suzy led the decorating. Nick and Isabelle, who run architecture and design studio Piano Nobile, gave input on the structure and provided textiles. 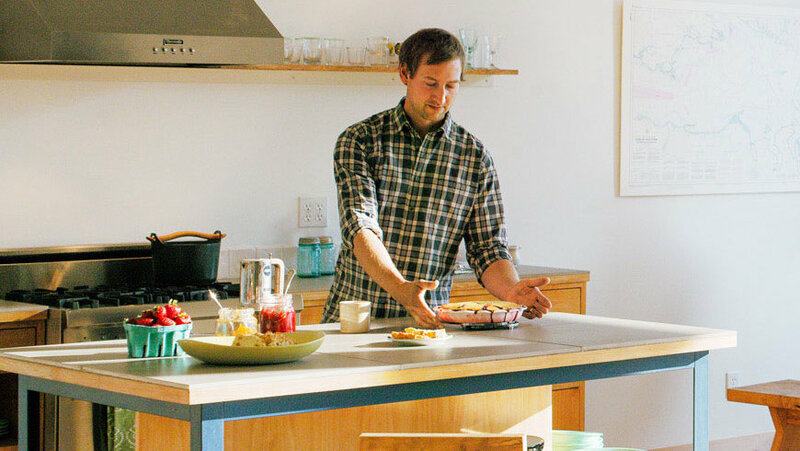 Chad and Emily, owners of furniture studio Chadhaus, crafted many of the furnishings. 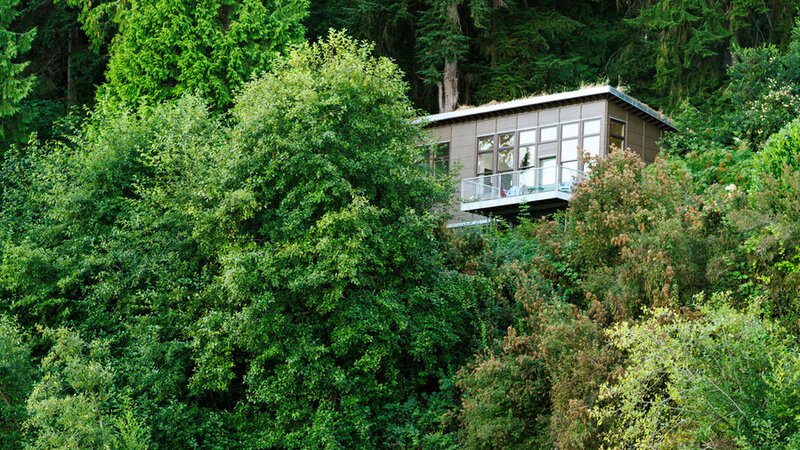 As a result, the cabin isn’t just an escape but an heirloom. “This is something we want in our family for a long time,” says Chad. The front deck was designed as an extension of the common area. 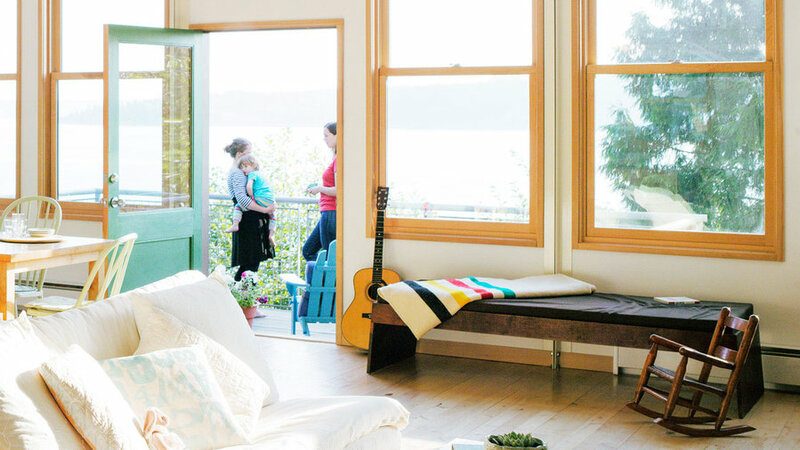 “Even if you’re outside on the deck, you’re adjacent to everything else,” Emily says. Dogs and kids are always running in and out, often dodging Don as he returns from clamming. Because the family tends to gather in the kitchen, they placed the island just steps from the living area so the conversation wouldn’t stop for whoever’s cooking. The family didn’t finalize the island’s size (40 by 60 inches) until the drywall was in. “We could then stand in the space and imagine the best setup,” Chad says. The cobalt blue legs make the island feel like less of a workhorse and help it blend in with the common area. 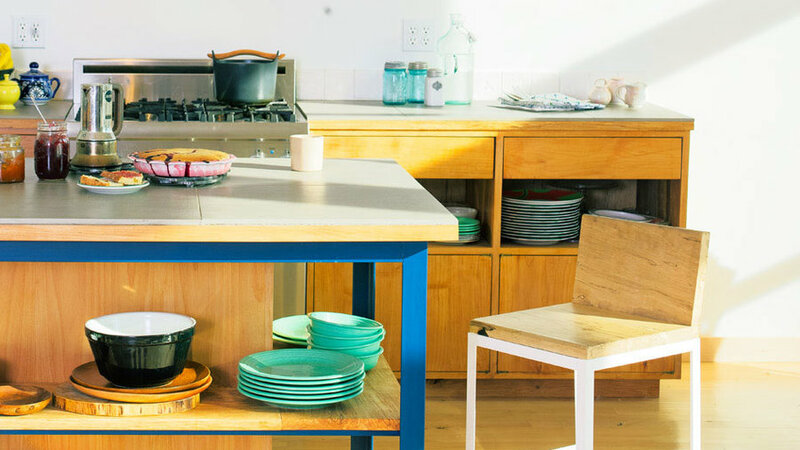 Like the majority of the cabin, the kitchen gives a nod to its locale. The cabinets are made from alder wood cut from aged trees on the property, dried for 18 months, and milled on-site. 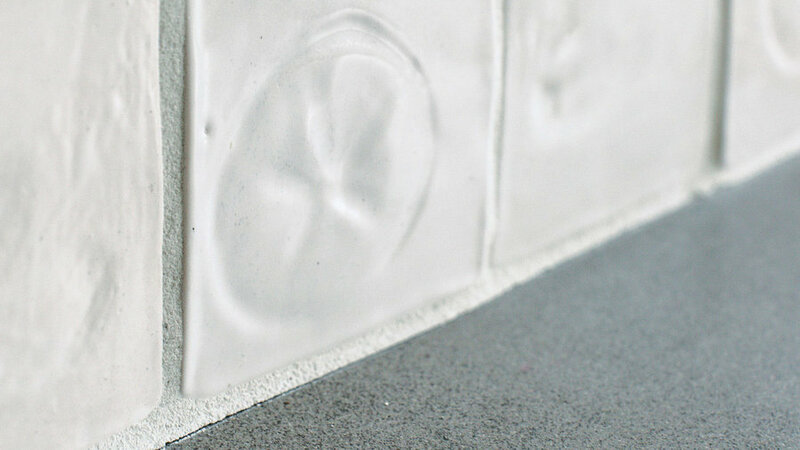 Suzy lent her skills as a hobby ceramist to create a subtle beachy backsplash. 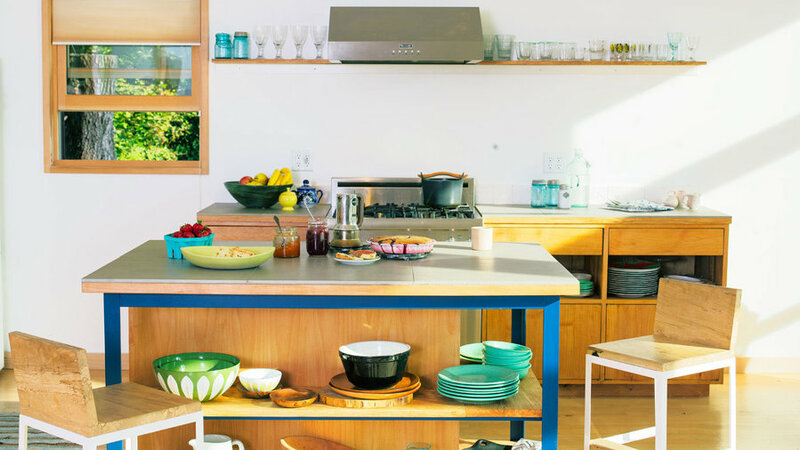 Since the kitchen is part of the common area, the family chose to use the base cabinets as a credenza, leaving off the traditional doors in favor of additional open shelving. 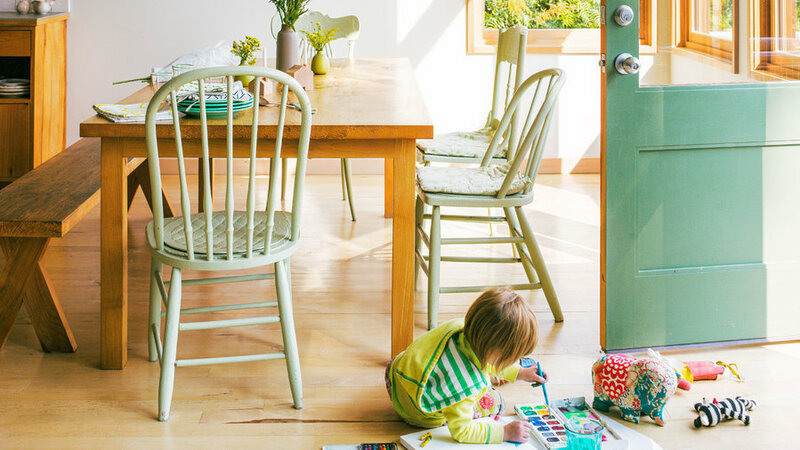 With ​a view like the one out the Robertsons’ wall of windows, there’s no need for eye-catching color indoors. Instead, Suzy used coastal-inspired blues and greens with a few strong pops; the creamy tones complement the white walls and the alder flooring and furniture. 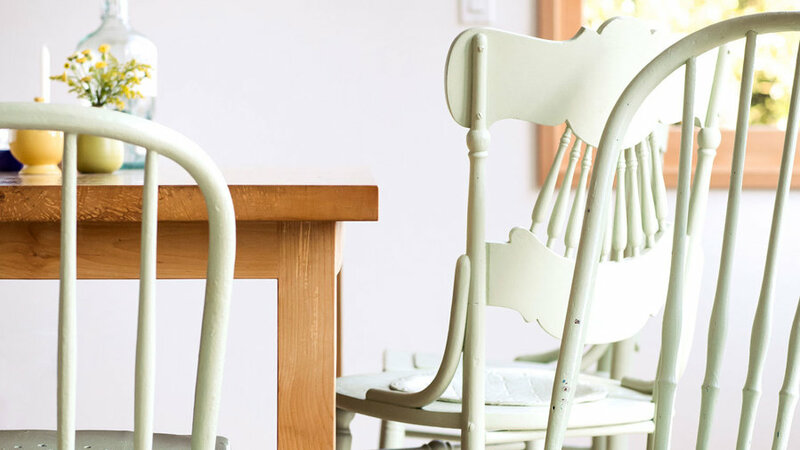 Suzy also chose a “whitish mint” paint to unify mismatched dining chairs. The family used the same deft touch with color in the cabin’s two small bedrooms. The bed frame has been in the family since Don and Suzy married 43 years ago. “It’s been yellow, blue, red,” says Suzy. 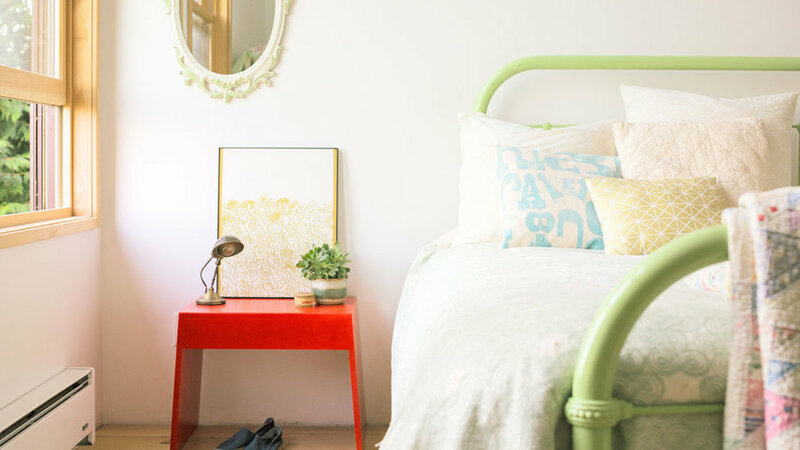 This iteration—a bright grass green—complements the cherry red stool by Chadhaus and the washed-out colors of the pillows (designed by Isabelle). 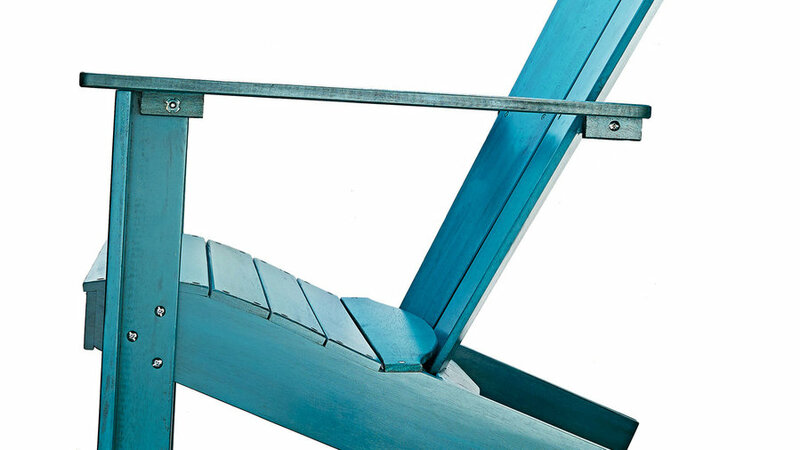 Nothing says, "Forget the 9-to-5," like a classic Adirondack chair. for blue coastal chair, $129. This do-anything, go-anywhere stool is solid wood. 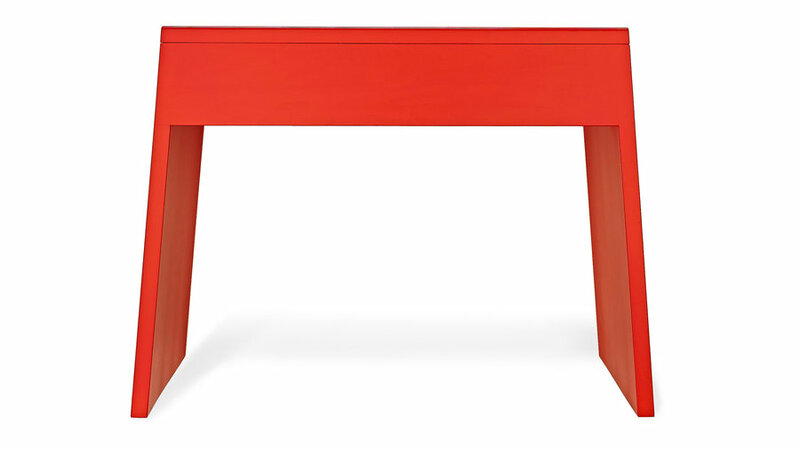 for Vollen bench (18 in. high by 14 in. long by 24 in. wide), $450. 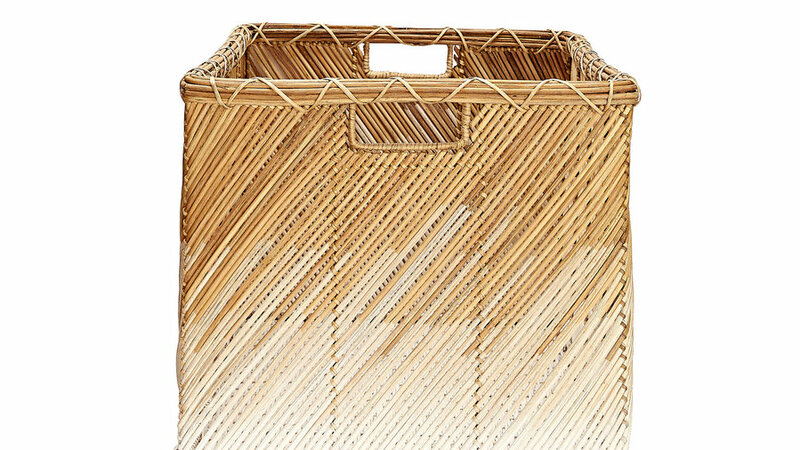 Hand-dipped in white paint, this rattan basket makes a cool stash for extra blankets. for dipped storage basket, $129. 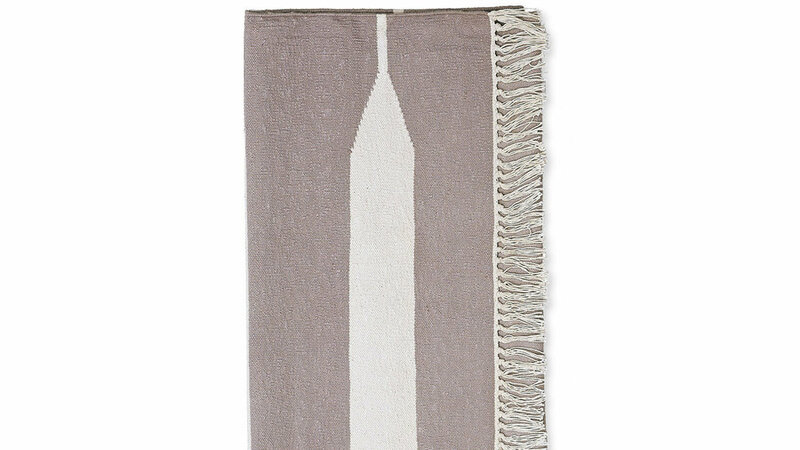 The beloved (and super-durable) striped dhurrie rug gets a new take. for bark paddle stripe cotton dhurrie from $195. 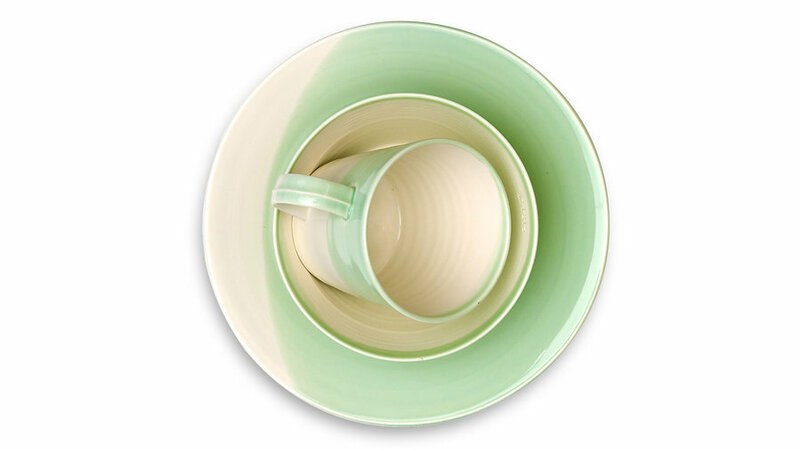 Mint green gives this porcelain dinnerware a watercolor effect. for Royal Doulton 1815 dinnerware from $5.99 each. 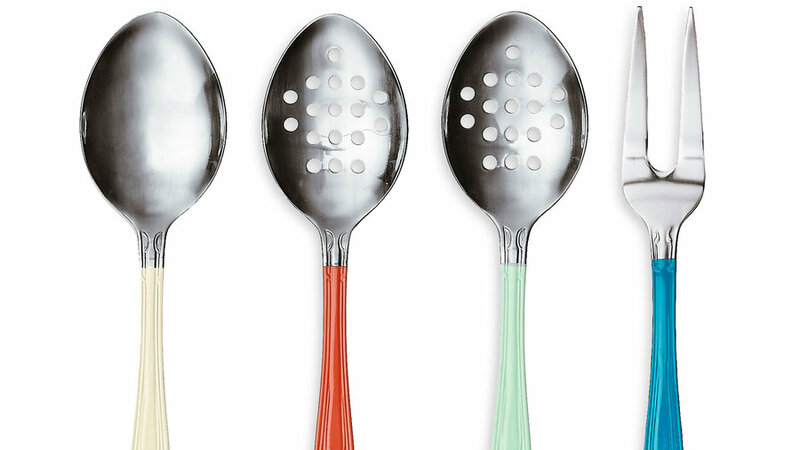 Metal serving utensils get a pop makeover. for Superior servers, $30 each. 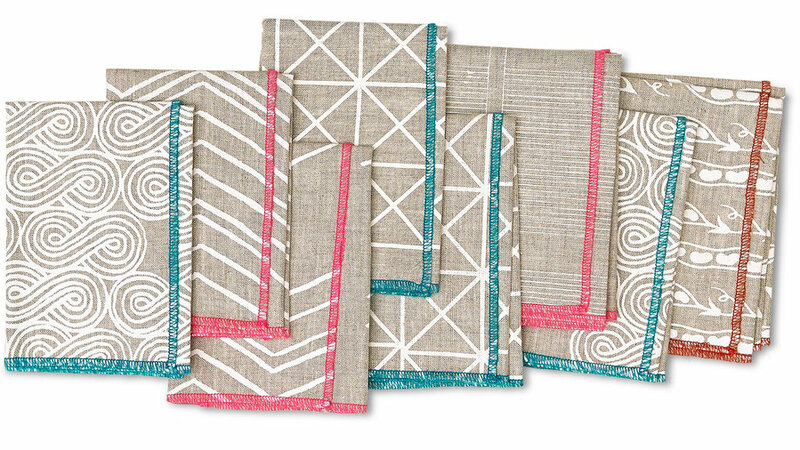 Bright stitched borders and graphic patterns let these organic linen napkins live a little. for Piano Nobile napkin set, $30. 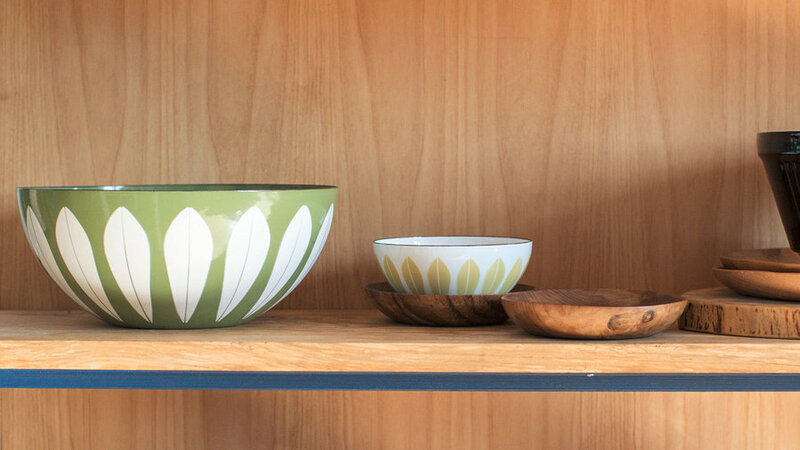 Each of these beautifully marbled bowls is hand-sculpted from fallen cherry trees. 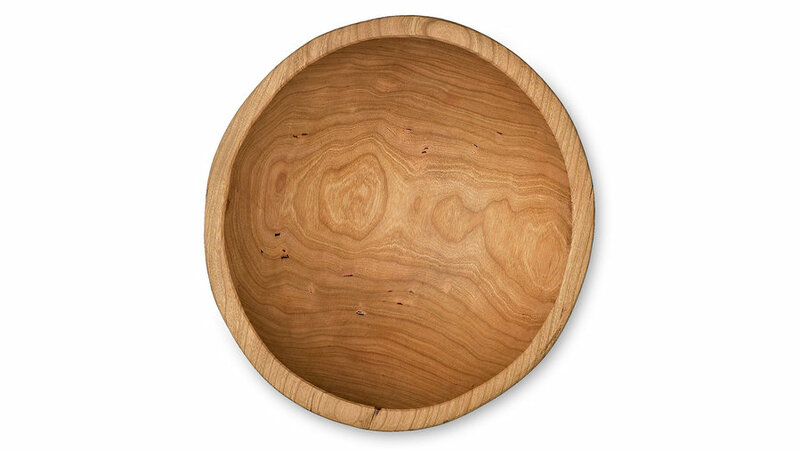 for round cherry bowls from $48 each. 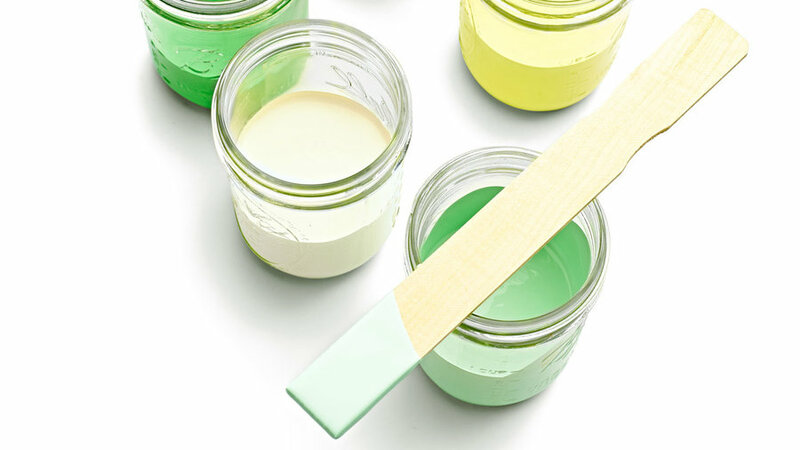 Go ahead, leave pantry staples out in this vintage-looking vessel. 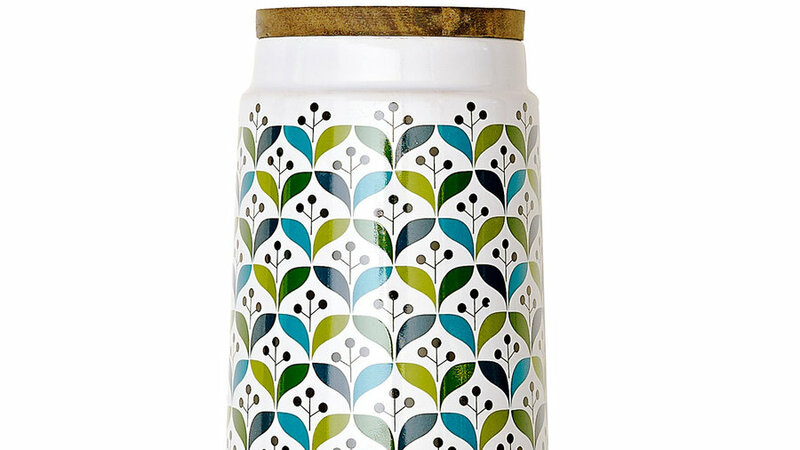 for retro storage tall jar, $30.